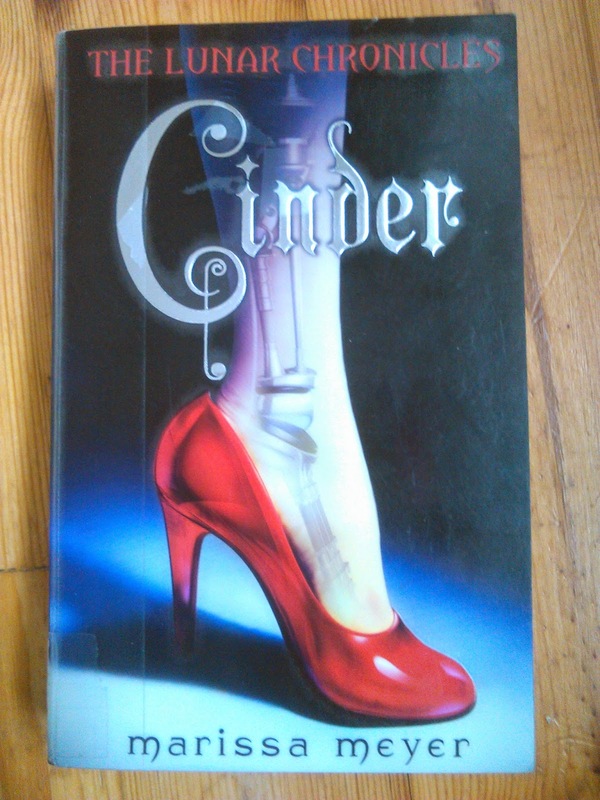 Cinder has intrigued me for a while now, so when I saw a copy of it in the library I snapped it up. Is was equal parts excited and frightened of this book, because it sounded amazing, but there are so many awful Cinderella adaptations that it could have been truly terrible. But it wasn’t, it was fantastic, and I can’t believe I left it so long to read the thing. Obviously Cinder is a twist on the classic fairy tale, but what a twist! Cinder is a cyborg living in futuristic New Beijing, the capital of the Eastern Commonwealth. With a devastating plague sweeping the globe, and Queen Levana of the moon threatening war on the earth, this is not like the Cinderella we know and love. But I nearly love it more it’s so good. This book is more inspired by, rather than based on the fairy tale, the main plot points remain, but it’s a really refreshing. I suspect there are also nods to Rapunzel and Snow White, which makes me very excited for the sequels. The plot is fantastic, and even though I had a fair idea where the story was going, I was still hooked and couldn’t wait to see where it ended up. As the narrative progresses, it just got more and more bizarre, but in a really good way! However, I did see the twist coming, and you probably will too, but that did not spoil the story at all. I was completely captivated by this book, so much so that I before I was finished I ordered the next two books because I couldn’t bear the idea of too much time passing before I could continue the story. I have this wonderful feeling that it’s just going to get more complex and brilliant as it goes on. The world building in this book was fantastic. The story is set in New Beijing, and while it is a sci-fi, futuristic setting there is a sense of the current Chinese culture, which I really enjoyed. Meyer presents the technology in a really interesting way and I was never left wondering how any of it worked, and there wasn’t a surplus of technology. The lunar ability (aka glamour) while completely weird, was really clear and understandable, even though I’m pretty sure the science behind it is essentially just magic. My favourite aspect of the world building was the political structure. The earth seems to be divided up into several large countries, composed of the continents, and humans have colonised the moon. Some of the states are monarchies , and some are democracies, and I hope we find out more about the politics of the earth in Meyer’s world in the next few books. A really interesting cultural aspect is the idea that the cyborgs are second class citizens. We see that Cinder is shunned by her family and wider society because of this, because cyborgs are considered lucky to be alive, and that the owe society their lives. I’m interested to see if this attitude changes as the narrative progresses, or if the cyborgs will continue to be persecuted. Cinder is a fabulous protagonist. She is equal parts strong and feisty, under confident and scared, kind and compassionate. I know she’s a cyborg, but I really connected with her character. I couldn’t help but root for Cinder, and she’s probably my favourite Cinderella based heroine ( and there has been a lot). It would be very easy to hate Prince Kai, the mysterious, handsome, privileged royal heir who has had everything handed to him on a plate , but I loved him! He was surprisingly intelligent and cunning, and really did seem to care about politics and his people despite being so young. I feel Kai is a worthy romantic lead for this clever book. I loved this book, it was perfect and the only complaint I would have is that it is too short! I’d recommend it to anyone who likes sci-fi, fairytale re-tellings, or maybe dystopian fiction.